Raised the daughter of a Baptist minister in small Yakima, Washington, Oleta Adams was somewhat of a child prodigy, playing piano at an early age and directing choirs by the time she was a teen. At 18 she made a decision to forego a college scholarship and instead headed to Los Angeles seeking a musical career. When her jazzy, torchy style didn't fit the dance oriented sound of the mid to late 70s, she moved to Kansas City, where she slowly gathered a following singing and playing piano at local nightclubs, with her show eventually becoming a regular stopping ground for visiting celebrities. Her big break came in 1988 when Roland Orzabal and Curt Smith of the then-hot British group, Tears for Fears, saw her show and offered her the opportunity to sing backing vocals for their album The Seeds of Love, the follow-up to their international smash album Songs From the Big Chair (and its hit "Everybody Wants to Rule the World"). Her performance on The Seeds of Love was notable, and she was soon signed by Mercury Records to record her debut album with Orzabel producing. Adams ' 1990 debut, Circle of Love, was like nothing else at the time, and it took the musical world by storm. Her cover of Brenda Russell's breathy "Get Here" was virtually unrecognizable from the original. It was a smoldering, torchy masterpiece, and Orzabal's sparse production behind her deep, clear voice, made for one of the decade's truly great ballads. The rest of the album was equally notable, especially her seven minute jazzy cover of the classic "Everything Must Change" and Orzabel's cool composition, "Rhythm of Life." At a time when urban adult audiences were already rejoicing in rising stars Luther Vandross and Anita Baker, Adams provided an equally strong - but jazzier - addition to the burgeoning Urban Adult Contemporary market. Her follow-up album, Evolution, was more of a personal statement, with Adams writing seven of the twelve songs. Working with British producer Stewart Levine (fresh off his production of Simply Red), Adams created a less memorable full album, but one with some notable high points, including the striking ballad "I Just Had to Hear Your Voice" and the joyous closing number "Window of Hope." Unfortunately, the lack of a major single made this album less appreciated than it should have been, and it faded from the charts relatively quickly. Adams followed in 1995 with Moving On, a more urban sounding album that failed to click critically or commercially. She moved back to her gospel roots in 1997 with the very nice Come Walk With Me, achieving her greatest critical acclaim since her debut. She then spent the next few years touring before releasing All the Love in Europe in 2001. It was a moderate success there, and a year later she issued it in the U.S. to generally positive reviews. She followed it a few years later with Christmas Time With Oleta, but didn't issue another standard studio album until 2009's Let's Stay Here on Koch Records, and album that was critical step down from her best work. While she continues to perform on occasion, particularly in multi-artist jazz shows such as a Summer 2012 performance with Brian Culbertson, Adams has been largely quiet since Let's Stay Here. 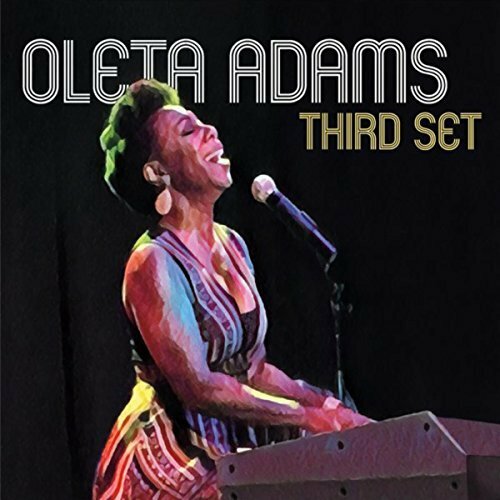 While only her strongest fans have invested in Oleta Adams' entire catalog, the compilation The Best of Oleta Adams is highly recommended for all fans of classy, jazz-flavored Soul music. It includes the best cuts from her first three albums as well as some additional choice cuts from other recording sessions.